Stephan Taylor standing amidst a portion of his collection. To Stephan Taylor, collecting art and engaging in art culture is a living passion. Residing in Melbourne, Australia, his acquisitions span the globe. Stephan’s relationship with the art transcends merely decorum or a specific identity; his choices and the works themselves become part of his own spiritual journey. The heart, his own and that within the essence of the image, are a very important key. 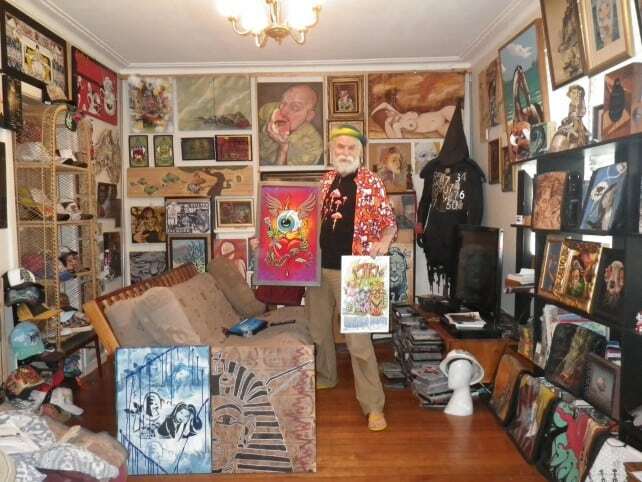 His works are cared for as his own body–in fact he is even tattooed with one-of-a-kind original art work. It is easy to see that love is the prime motivator; his prolific collection being not the result of thirst, but rather an expression of his abundance. 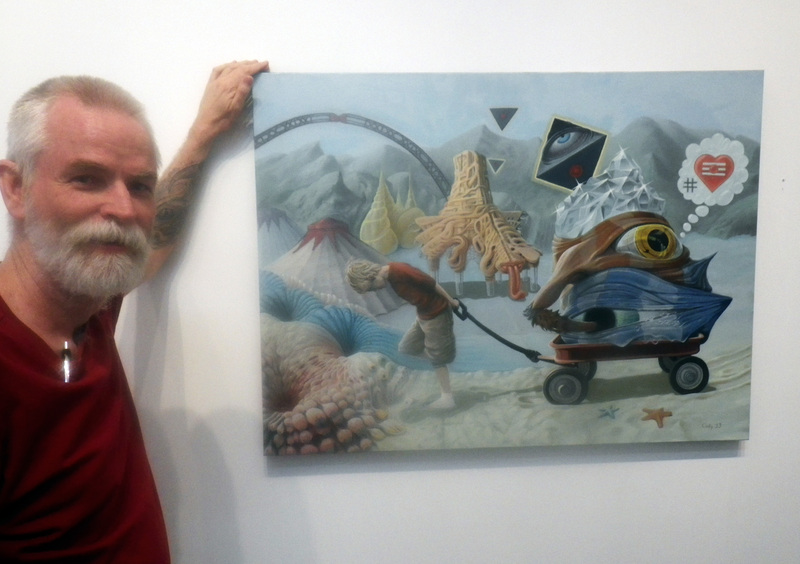 Stephan Taylor unveiling “Caravan of My Inner Child” at the Auguste Clown Gallery in Melbourne, Australia. 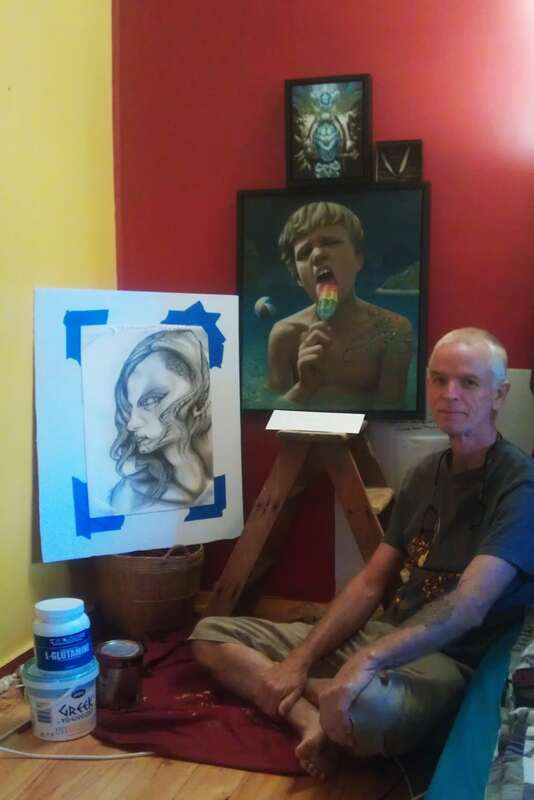 Stephan sitting with the drawing “Elf Prince”, left, “Phra Nang Farang” middle center, and “Budgie-Sattva 1” top middle. Click on “Caravan of My Inner Child” for more info about this painting. Click on “Phra Nang Farang” for more info about this painting. Click on “Budgie-Sattva 1” for more info about this painting.